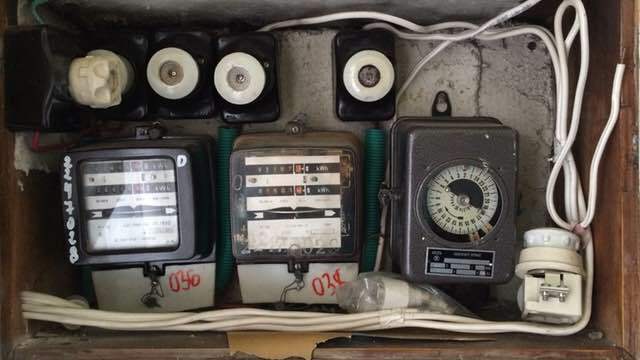 There are many commercial power meters and gird analyzers. But the Babelbee is about Open Source. So if our software does not solve your problems then just fork it on GitHub and customize this electric power analyzer according to your needs. Via plugable coils and wires you can tap three 1-phase or one 3-phase AC line with up to 230 volts. We also made sure that you can measure the neutral line, which is very important in order to detect faulty power installations. For the continuous analysis of AC power lines we have added a dedicated chip, the ADE 7880. It operates with a very high precision of 24 bit and allows the access to high speed samples. So you actually can watch the power grid in real time. If you see something, say something! 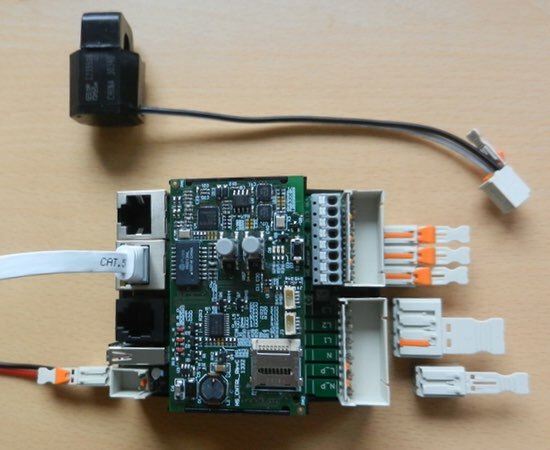 Use the Ethernet port and the pairs of industrial communication busses to integrate other actors. 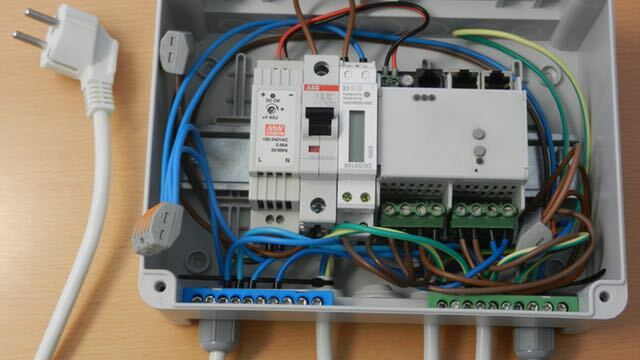 And if they do not talk you still can use up to four relays to switch some power lines directly. but still a Maker Kit. 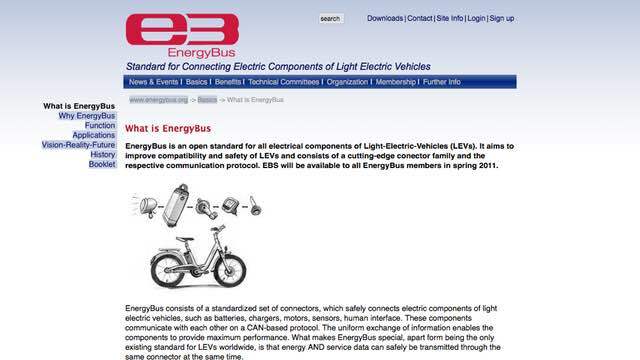 We also paid a lot of attention to details, so that all electric safety standards could be met if needed. If you know where your towel is, then the Babelbee is a truly viable part for your next real world project. Just put your Babelbee into a rugged box, add a circuit breaker and the power cables of your choice. Now you can take this power analyzer where ever you want. 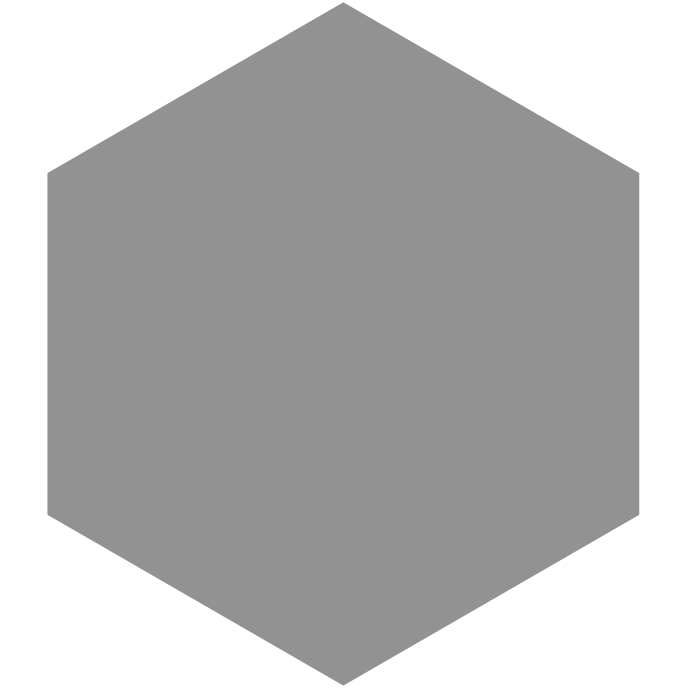 Go hunting for those wierd grid distortions. The renewable grid of the future does not really need the so called "Smart Metering". The Babelbee will provide software examples for decentralized grid management without any risky external communication. Experiment with and learn about the future of the gridco.de. 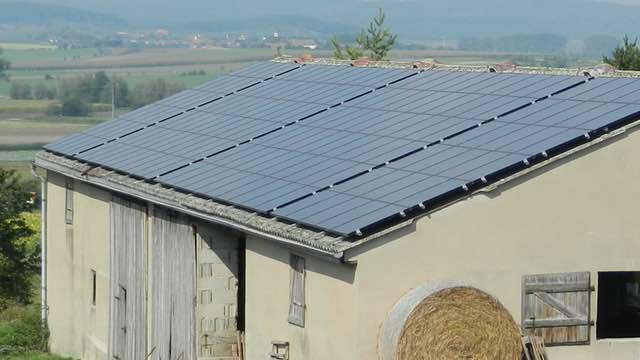 Does your PV system perform below expectation? Hook up a Babelbee to the power lines and hack yourself some code to read the inverters status information. This could allow you to see where the trouble is. Perhaps you are hitting a line voltage above legal limits? 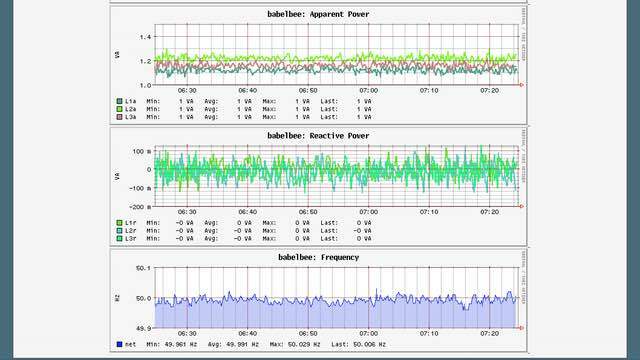 Extend your Babelbee with temperatur sensors and trace the power profile of your heating system. 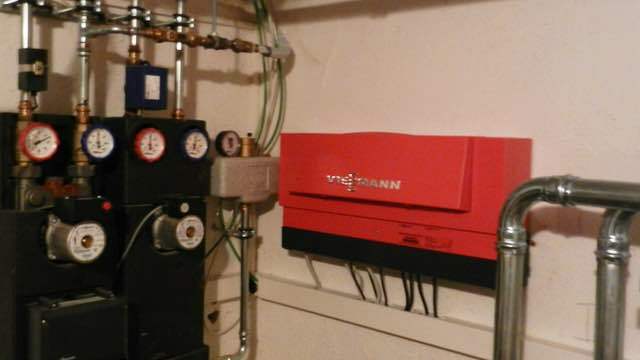 It would help you to find out what those control boxes are really doing all day long. 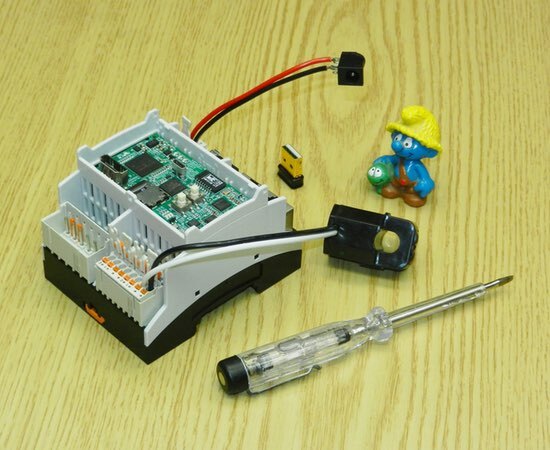 The Babelbees relays could be used to automatically disconnect unneeded pumps. 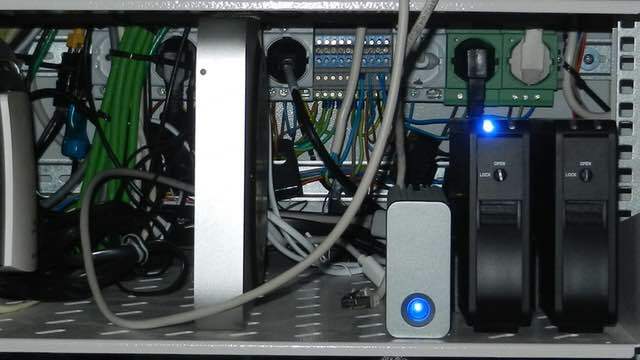 Perhaps you are not sure if the power saving spin down feature of your hard drives is really configured properly. Or you want to test the peak power during boot up? The Babelbee could be your friend on that journey. A Babelbee can monitor 3-phase power and read multiple temperatur sensors. The relay can trigger the starter of a power generator. 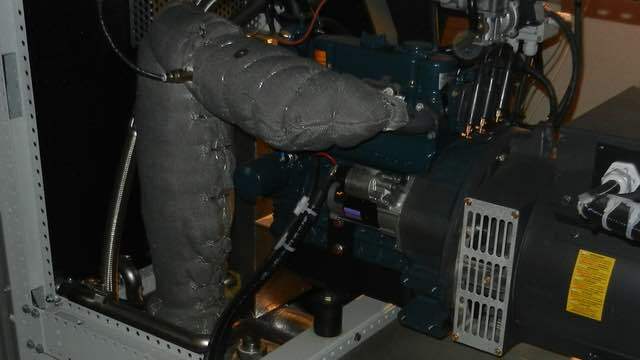 So why not build a cogeneration power plant on your own? 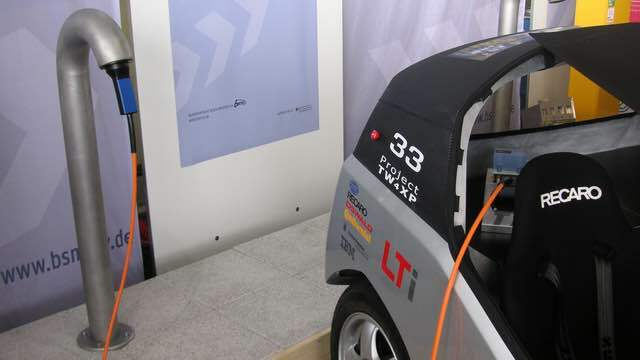 Tired of those expensive "wall boxes" for controlling the recharging of your electric vehicle? A Babelbee provides enough features to build your own box. An with the CAN bus ports it is ready for the upcoming charging standard. We have been thinking long and hard but so far have not found a very useful application for a Babelbee in sheep farming. 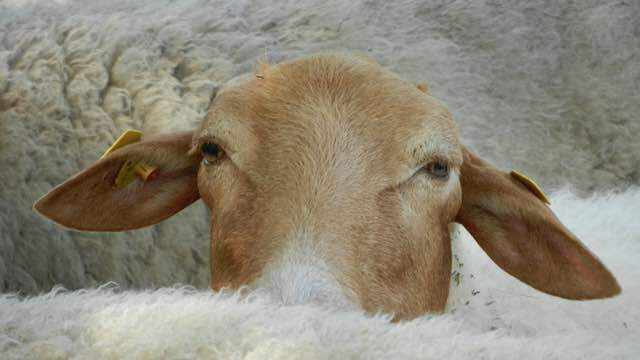 So if you need a break from hacking and soldering … free your mind and try sheep farming! The Babelbee is running cool and froody Open Source software. You can modify it … or just use it. We are standing on the sholders of giants because we know where the good end of a kill-o-zap points to: "Share and Reuse". Here is a list of some of the external projects which we are leveraging. 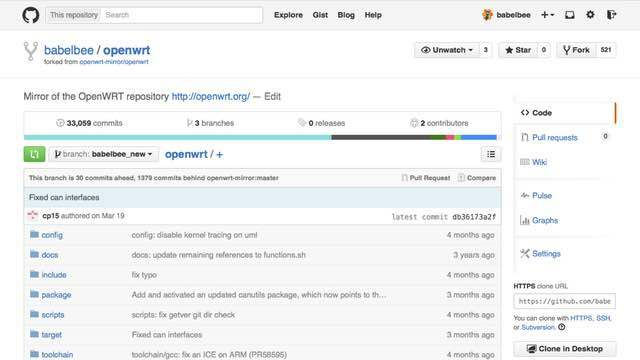 The foundation of the open source software stack which the Babelbee is providing is the well known Linux kernel. So you get a full featured operating system with all the bells and whistles. 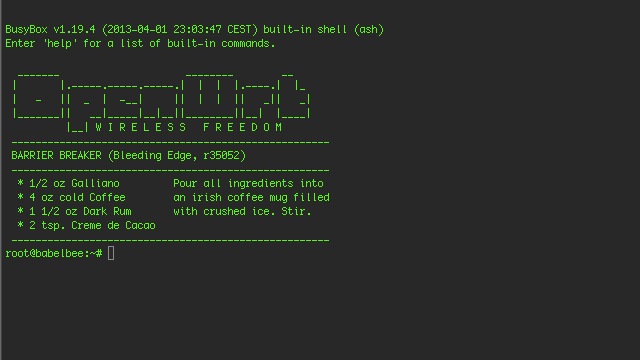 While it is possible to run almost any kind of Linux distribution on the Babelbee, we have decided to go with a custom fork of OpenWrt. It was designed for small internet routers and is therefore a robust foundation. To make it easier for you to participate or just to follow the evolution of the Babelbee we will be hosting our code on GitHub, the epicenter of open source communities. 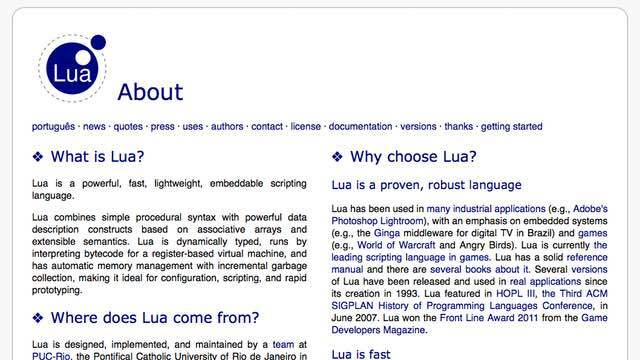 While some key parts are and will need to be low level kernel code most of our examples will be provided in scripting languages, mainly Lua, so that you can quickly start playing. It turns out that the distance from Earth to Mars is almost as far as from your living room down into your basement. Typically there is no internet. 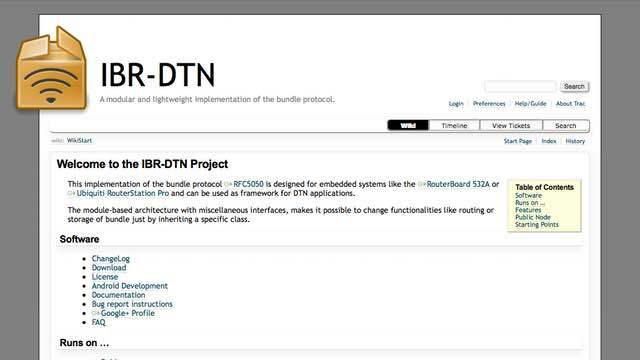 That is why we will try to provide the intergalactic bundle protocol based on IBR-DTN out of the box. Another, more down to earth, communication technology is mesh networking. 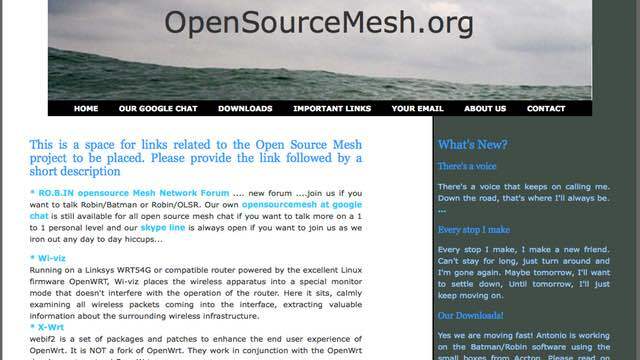 We still have not made up our mind which implementation to include by default, but mesh networking is important to us. Especially in the context of electric vehicles and energy storage the CANopen based EnergyBus is a standard which we hope we can contribute to. The Babelbee already comes with the necessary CAN hardware. Here is a quick run down of the different ways in which you can access your Babelbee. Basically you can choose between a web GUI or CLI. 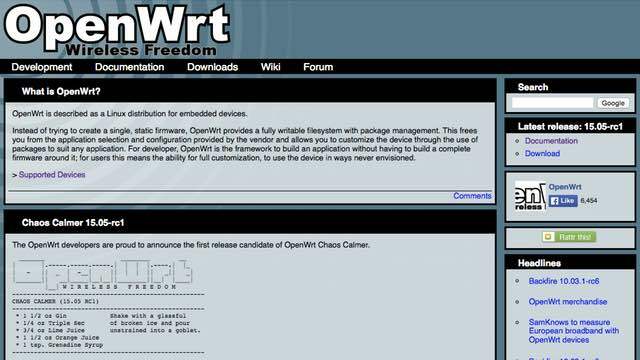 Like any regular OpenWrt distribution we are providing an admin interface for your regular web browser. 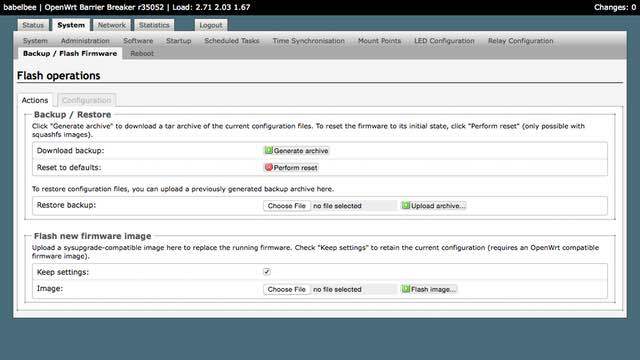 This is where you can configure all parameters and even upload new firmware images. The HTML web interface includes most of the energy related features as well. 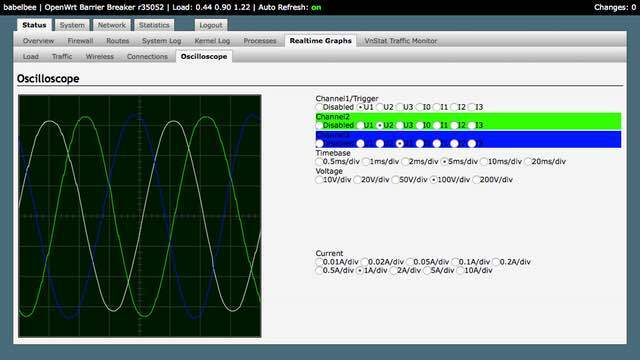 Among them is a real time oscilloscope view which allows you to watch the AC power sine curves as well as all the pretty distortions which modern power electronics are spreading around. Yummy! 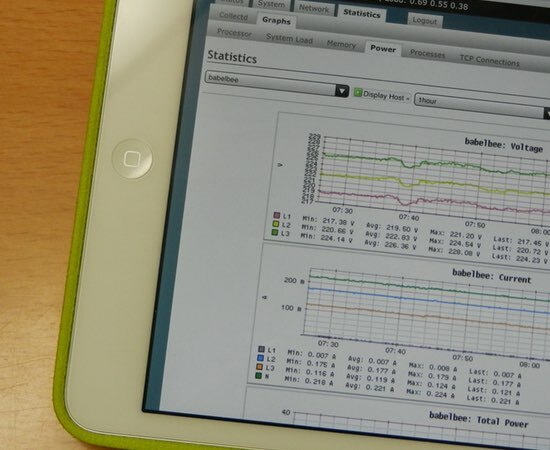 Since we have collectd based data logging right in the system we can provide all kinds of graphs related to the power parameters without any need for external cloud services. So you do not have to worry if it is raining in the cloud. The very high precision 24 bit power analyzer chip comes bundled with lots of compute power and many industrial communication busses. Video and Audio internal HDMI (rev 1.3 & 1.4) port with digital audio. Perfect for debugging.